It’s never been easier to be a citizen scientist and it’s never been more important to be one. 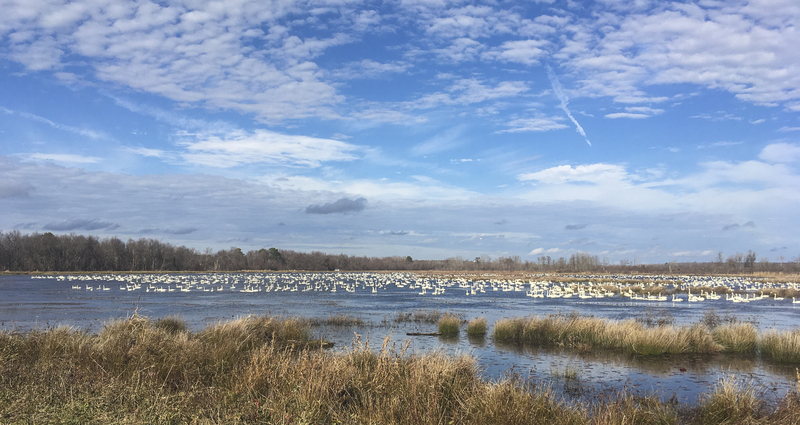 Earlier this week, we participated in one of my favorite holiday traditions, the annual Audubon Society Christmas Bird Count at Pettigrew State Park. I helped start this particular count over 30 years ago when I was East District Naturalist for the NC State Parks System. My good friend, and naturalist extraordinaire, Paris Trail, was the count coordinator. The Pettigrew Count is centered on Lake Phelps and the standard 15-mile diameter count circle includes surrounding farmlands and forests as well as a portion of the Pungo Unit of Pocosin Lakes National Wildlife Refuge. It is that latter portion that I have counted in for all these many years. This year, it was officially just Melissa and I, although we did run into some of her museum co-workers and another excellent young birder that helped us with a couple of species we missed seeing (most notably the merlin and American bittern). The day began with clouds and warm temperatures, but the skies soon cleared, and we had another of those crazy “Christmas” counts with temperatures soaring to the low 70’s. 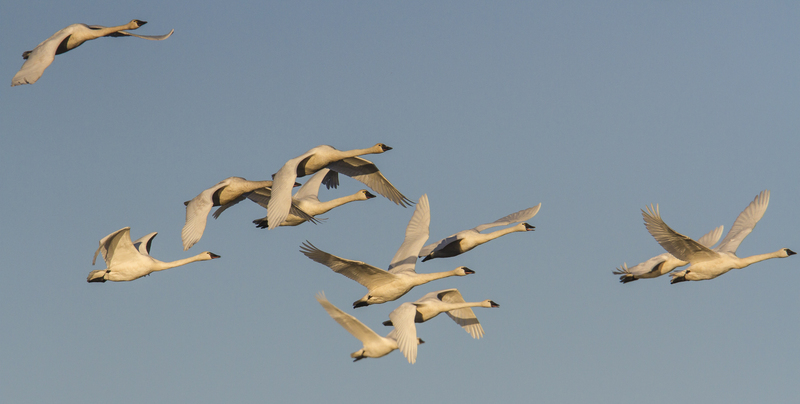 Tundra swans were the bird of the day and we estimated about 14,000 on the lake, although I am guessing this may be an underestimate based on the tremendous flyovers at sunset. 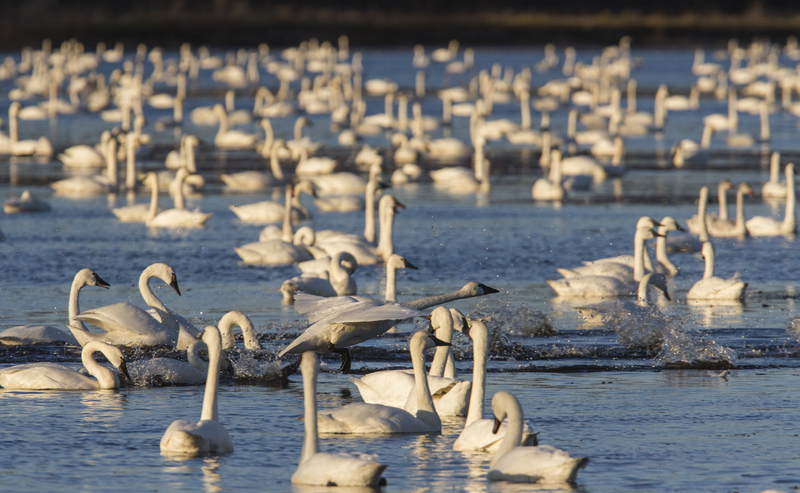 Swans were literally everywhere – in the fields, on the lake, in the impoundments, and in the sky. And I must admit, I could watch and listen to them all day. In fact, I did on the day after the count (more on that in a future post). The warm temperatures made for some unusual companions for a Christmas Bird Count. 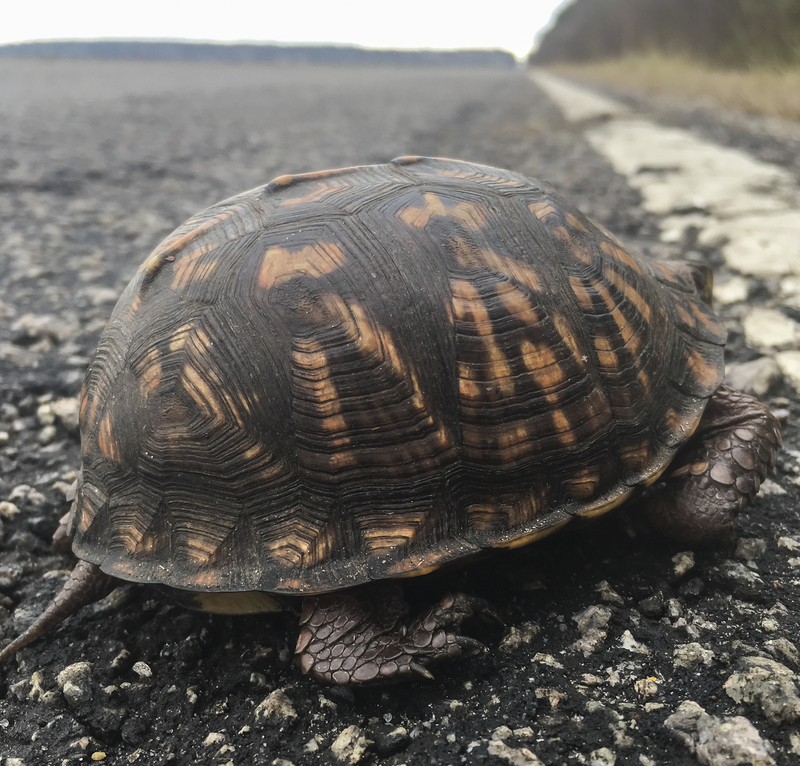 There were plenty of aquatic turtles sunning themselves in the canals (which is not really all that unusual on sunny days in winter) plus an Eastern box turtle we helped off the road. 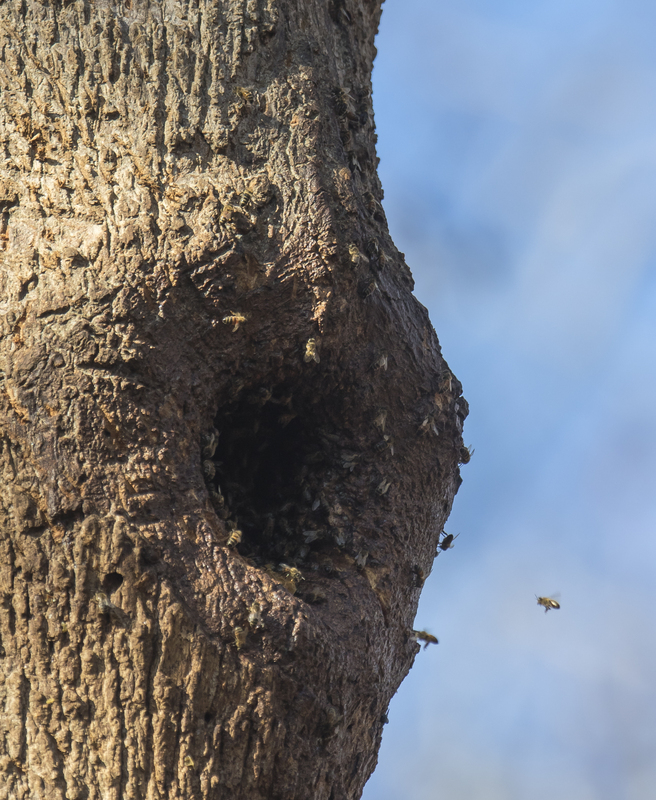 There were also several buckeye butterflies, a Carolina anole, and Melissa spotted a very active bee hive high up in a tree. If you look closely, you can see where bears have clawed around the hole trying to get at the tasty treat inside. Not sure what these bees were foraging on, although I did see a few henbit weeds in bloom along the edge of the road. 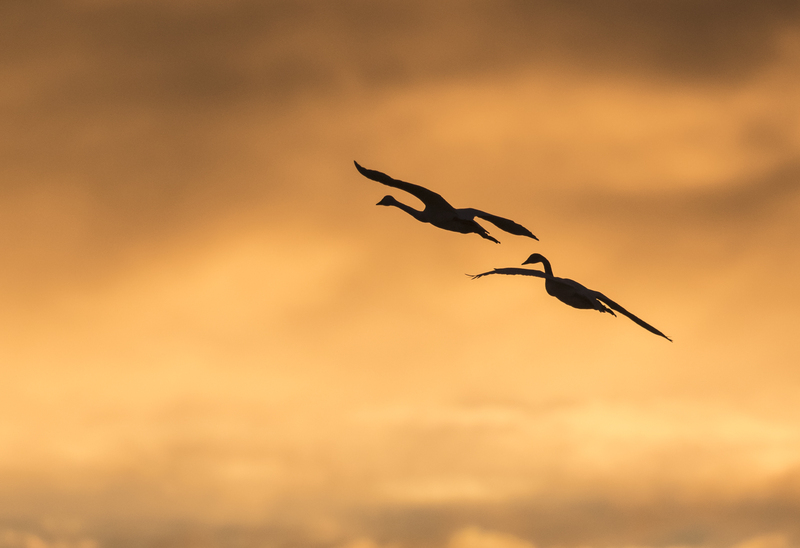 The snow geese continue their pattern of erratic and unpredictable behavior of the past few years, with a much reduced flock splitting up and flying off the refuge in different directions to feed. 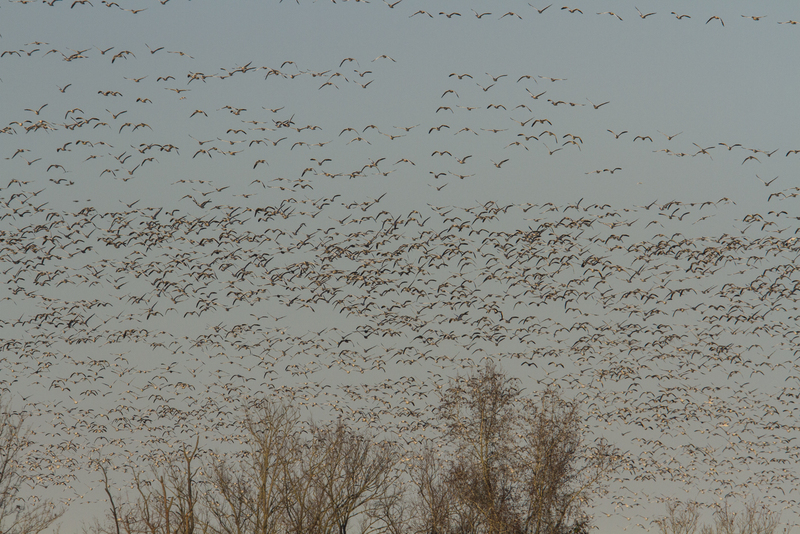 Perhaps when the remaining corn on refuge lands is knocked down, they will provide a brief display of massive flocks coming into feed as in past years. 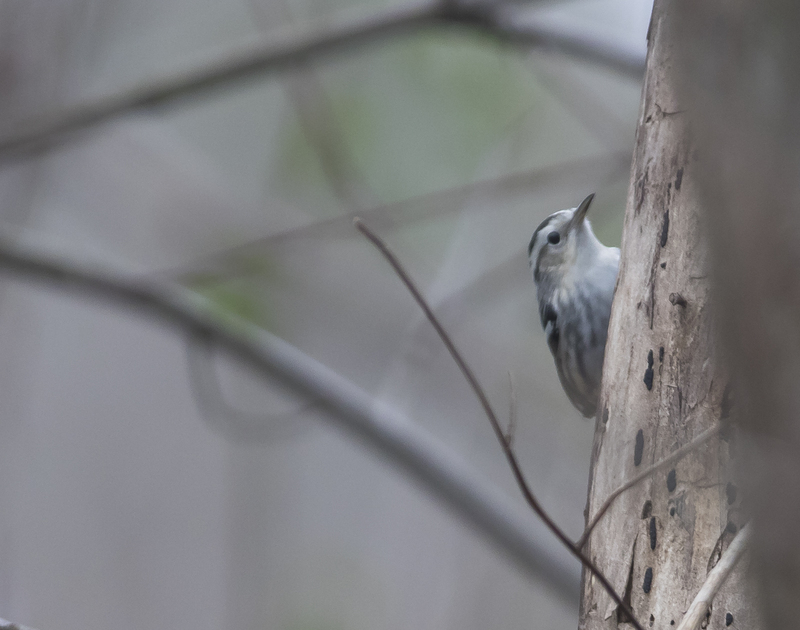 We managed to spot quite a few species (76 in our portion of the count circle – see our complete list below) with a few that are not regularly seen, including a black-and-white warbler, an orange-crowned warbler, a pair of blue-gray gnatcatchers, and a peregrine falcon chasing a duck. My favorite species of the day came just as the sun was setting. I looked up and saw what I first thought were three great blue herons flying in tight formation. 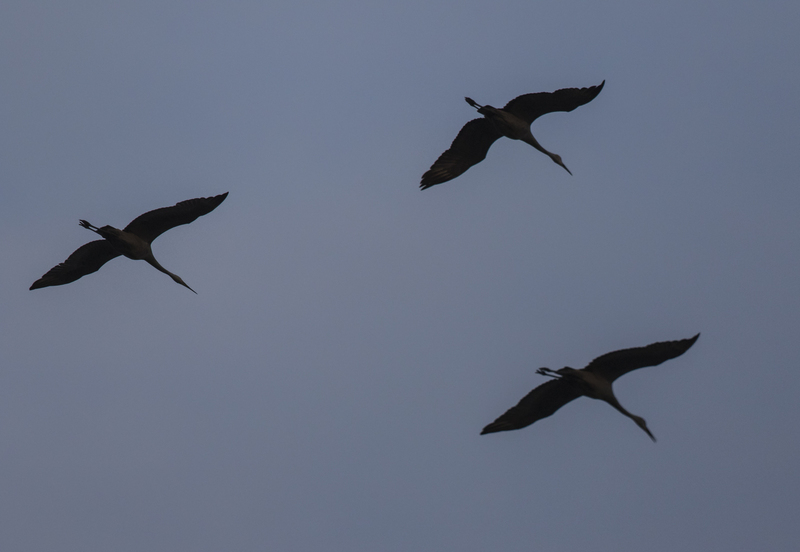 That unusual pattern caused me to take a second look and I could see the outstretched necks that indicated something other than herons – three sandhill cranes! This is the second Christmas count over the years where we have spotted these magnificent birds. A great way to close out another wonderful day spent in our favorite place. This entry was posted in Trip report and tagged christmas bird count, pungo by roadsendnaturalist. Bookmark the permalink. Wow that is quite a list! A very good day, indeed, with a few unexpected species. Beautiful photography and very impressive count!